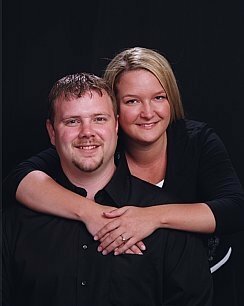 Today (Thursday) is Big Caleb’s and my 10th wedding anniversary. My parents were in town yesterday and knew we wouldn’t get to celebrate without the boys in tow, so they offered to watch the kids last night so we could go to dinner. We also went to Sam’s since going shopping with the boys without losing my mind is about impossible these days. People tell me all the time I’m “Super – or Wonder- woman”, but my Achilles heel or kryptonite is going grocery shopping with my boys. These days it’s a community event. Baby Joshua almost always starts crying a few minutes in. There’s no better way to get through the checkout line quickly than with a crying baby. People let me cut in line and then the checkers seem to be in a frantic hurry to get me out of there. The other day an off-duty police officer loaded my groceries into my truck. I decided to give the Maumelle Kroger a break and go to Wal-Mart last week. We were in the baby section when Joshua started in and next thing I knew I heard, “Awww! It’s y’all!”. Our neighbor from when we lived in Rolling Oaks came around the corner from the toilet paper aisle (her words) because she heard a baby crying and had to come see who it was. She held him and of course Joshua stopped his waterworks. I’m almost convinced the kid gets bored and cries to get a change in scenery. I’ve had the Clicklist website open on my computer for over a week, but any time I get free time the priority is show stuff instead of groceries. I have a feeling it’ll become more of a priority once I pick up my first order with little to no stress. I tell these stories not in defeat, but in amusement. I don’t dread trips to the grocery store or antique malls with the boys; Instead I look at each trip as a challenge and I try to come up with a better strategy each time. I’ll either get it figured out or Joshua will grow out of it and these challenging times will just be a memory to smile about soon. 3719 John F. Kennedy Blvd. Estate Sale, contents of a small estate moved to our building. Incredible vintage hand puppet collection, effanbee marionettes, Quimper, Tiffany and German china, Crystal, artwork, great books, lamps, platform rocker, twin bed, KLH turntable and speakers, LP’s, Fine and costume jewelry, much more!.. great small collection! outside building filled with all kinds of tools and other items! We’ve compiled items and estates from all over central Arkansas this time. Over 30 different estates are featured in this particular sale and we know you are going to love it! Featured items include: vintage safe on wheels and a tempus fugut grandfather clock. Antique items include a mid century modern bedroom set, armoire, two marble-top chest of drawers, drop leaf table, couches, marble-top side tables, rocking chair, and a Philco radio. 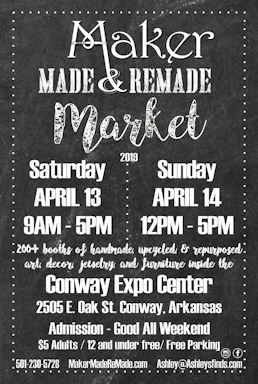 Furniture offerings include highboy chest, Chest of drawers, dressers, lounge chairs, armoire, curio cabinet, wooden desks, kitchen hutch, buffet, Broyhill chairs, lift chair, Lane recliner, China cabinets, headboards of all sizes, Coffee tables, side tables, & record player cabinets. Appliances include a Maytag washer and dryer set, GE washer, black Frigidaire refrigerator, KitchenAid microwave, and coffee makers. There are numerous collections in this particular sale featuring: Barbies, Aladdin, Topps and Score football cards, cameras, Knives, vintage newspapers,License plates, Star Trek figures, matchbox and hot wheel cars, Coca Cola, & world flags. Also, don’t forget to look for the: Jasmine acoustic guitar, Sonora record player, Fenton glassware, anchor hocking, and Pyrex, file cabinets, mattresses of all sizes, Luggage, dolls, old wagon wheel, bird houses, vintage fishing gear and camping gear, Star Wars plates and cups, baskets, sewing supplies, Limoges & noritake China, Taylor Made golf clubs, jazzy and quantum mobility chairs, clocks, artwork, cabin decor including dozens of mounted antlers, Karastan rugs, Handtools, power tools, two Giant brand bicycles, wheel chairs, books, DVDs, PlayStation 2 console and games. Outdoor items include: outdoor patio furniture, Electric lawnmower, Craftsman scissor action lawnmower, Polaris pool cleaner, lounge chairs, unopened mason jar cases, ladders, weedeaters, and leaf blower’s. 20% off! The RDES Showroom is packed with super estates this cycle. We have items from the estate of an antiques connoisseur. The bulk of this estate was purchased in Europe in the late 1940s and 1950s. The star of this sale is an incredible collection of 18th and 19th century paintings and portraits. We also have items from the living estate of Mary Healey. Ms. Healey’s collection of art, glass and jewelry is exceptional. We also have a new group of art from the Harvey Donophan estate from Warren, Arkansas. Museum Quality Victorian Birdseye Maple Bamboo Style Bedroom Suite, Incredible Country French Chest, English Chests, Red Chinoiserie Desk, Oyster Veneer Desk, Demi lune Chest, Banquet Style Mahogany Dining Table, Set of Ribbon Back Dining Chairs, 1830’s English Breakfront, English Secretary Desk, Biedermeier Daybed, Biedermeier Console, Oriental Screens, Unbelievable Gilt Mirrors, Early Portraits and Paintings, Restoration Hardware style Queen Bed, Painted Chest of Drawers, Trestle Table, Pair of Mirrored Chests, Painted Consoles, Italian Style Sofa, Chrome Occasional Tables, Pembroke Table, Asian Table, French Leather Twin Beds with custom bedding, Parsons Style Dining Table, Vintage Wicker, Daybed Upholstered in Aubusson Tapestry, French Chests, Local Paintings by Barry Thomas, Robert Moore, Bill Garrison and Patrick Cunningham, Louis Freund Woodblock, Meissen, Dresden, Waterford, Lenox, Royal Doulton, Wedgwood, Herend, Large Lalique Collection, Fine and Costume Jewelry, Coin Collection, Sterling Holloware and Flatware, oriental Rugs, Spinet Desk, Fine and Modern Books with an in-depth focus Russian studies, Religion and Philosophy, Room and Board Sofa, Chairs and Farm Table, Outdoor Sculptures by Jeff Owen, Netsuke, Bronzes, Fine ladies Handbags, Vintage Clothing, Linens, wonderful Southern Quilts, Pair of Dunbar Chairs, George Nelson Bench, Iron Urns, Inlaid Server, French Pottery Jar, Barstools, Kidney Shaped Desk, Leather Chair, Club Chair, Blue Danube China, Arthur Court Serving Collection, Cut Glass, Cybis, Lladro, Silverplate and much much more! Everything must go! Furniture, appliances, commercial treadmill, clothes, beds, dressers, bar, plates, glasses, pots and pans, much more. Estate Sale by Ivo Jones Designs Inc. Final Sale from this estate! 75% off! This is a one day only sale – and includes some truly one of a kind finds. This sale includes beautiful Teakwood furniture, sporting a retro style. Beautiful condition, several pieces are one of a kind, and includes a very unique nice sized desk, buffet , and stereo stand. There are a few very nice antiques including a secretary desk and side by side curio secretary (both in excellent). Other furniture includes Ethan Allen vintage bookshelf dresser, upholstered sofas, rocker recliner, wingback chair, night stands, wood side chairs, porch bench, picnic table and benches. There’s an old air force pilot’s helmet, model planes and other aviation memorabilia (including books); pipes and humidor. Items of interest include electronics, including computer, small tvs, stereo equipment, reel to reel, LPs, VHS and DVDs; binoculars, camera and lenses, camera tripod; Lane retro chest with black leather top. Garage items include several types of hand tools, hardware, ladders, shelving and cabinet units, and some new in the box items such as wiper blades. Quilters – there are supplies for you – fabric pieces, batting, quilt racks and quilting books. There are some toys and an Adventurer bike. Come on out and see what we have to offer. Dealers from around the country will be in Jacksonville, Arkansas August 11th & 12th for the 33rd Annual Arkansas Book & Paper Show. The show features rare and collectible books, first editions, author signed editions and out of print rarities. Rare paper items and ephemera, advertising materials, maps, postcards and obsolete currency will also be featured. 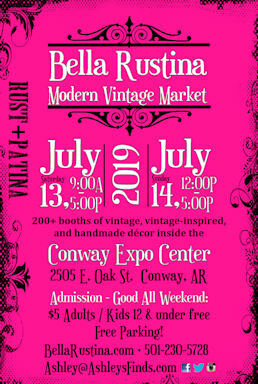 Rare and unusual Arkansas items will be on hand as well. Author signings are also scheduled. 10 – 5 on Saturday, 11 – 4 on Sunday. with current school ID $2. 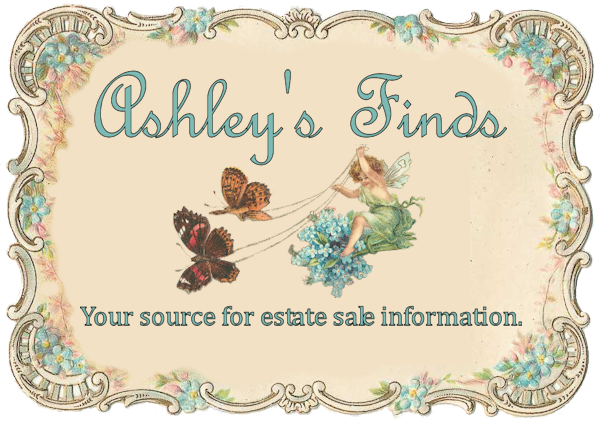 160 miles of yard sales, antiques, collectibles, and flea markets from Fort Smith to Beebe, Arkansas held the second weekend of August (Thurs – Sun). Many other items of interest and value. Everything Sold “As Is Where Is”. Cash, Credit and Debit w/3% processing fee, Checks accepted with prior approval from auctioneer. Not responsible for accidents or injuies. Parking is limited in front of house, please do not block other driveways. The Live & Online auction will have a good assortment of items including some new & like new restaurant equipment – new Southbend stove, commercial deep freeze, Frigidaire chest freezer, 2 Kenmore refrigerators, stainless shelving & rolling shelves, propane portable deep fryer, new water tank, new hot dog & bun warmer/steamer, 2 Bunn coffee makers – one new, new chip warmer, Espresso machine, portable food warmer & mid-size propane bottle, antique walnut dining table, 4 Chippendale rush bottom dining chairs, walnut 5 legged kitchen table w/ spoon carved legs, Ethan Allen Baumritter buffet w/ hutch top, Drexel buffet w/ hutch top, Fairfield modern mahogany side chair, 3 tier display, wire corner shelf, small baker’s style wire shelf, decorator items such as tin vases, flower arrangers, candle sticks, large centerpiece bowl w/ metal base, candle lanterns, wire baskets, candles, Ridgeway Old Ivory dinnerware, vintage Cloisonne dragon rice set, cloisonne dragon tea set, old Cloisonne over copper platter, 10¢ Dime pulp Westerns, several Western & other comic books from 1940’s – 60’s, Fave, Tiger Beat & 16 teen magazines, vintage Western themed magazines from the 1950’s – 70’s, Western belt buckles, Woody Woodpecker lunch box w/ thermos, Rumrill? blue pitcher, The Andrews Sisters “Her lucky night” movie poster, Black Americana rag doll & smalls, ladies fur cape, North Little Rock High School Band uniforms, 1926 North Little Rock auto license plate, costume jewelry, antique Notary public ledgers from 1890’s, trick Netsuke w/ 2 faces, Hubley “Pal” cap gun, vintage “555 auto supply” fluid lighters by Continental, antique Friedellko Hann-Solingen Germany 7 day straight razor set in the fitted case, Lladro retired figurines, primitive tool boxes, wooden corn sheller box w/ Black Eagle sheller, slag glass metal framed transom window, C. Radko “traditions” Christmas plates, basket of Emu eggs, and more! Live @ 5pm will have choice of new decorator items & collectibles on the shelves, old metal typing stands, assorted road signs, several old galvanized wash tubs, tub of cast iron pieces, gas heat stoves, electric blower, old 2 pc. school desk & more! Consisting of but not limited to: 2 baseballs signed by the Brooklynn Dodgers including Pee Wee Reese and Jackie Robinson (was told that these were baseballs given to fans attending the games), Hew York Yankees baseball bank with nomes of Lou Gehrig and Bill Dickey, 1986 Canadian Elizabeth 2 9999 fine gold maple leaf $10 coin, 1878-1879-1882-1884-1896-1922-1923-1924 Liberty Morgan silver dollars, 1918-1936-1939-1941-1943-1945 half dollars, 1927 and other Liberty quarters, 1911 Barber quarter, $100 Mexican coin, Shanghai-Ki Pin Province-An Wei Province-Hu Peh Procince-Szechuen Province-Fat Man- and other Chinese coins, 2 pink metal Tonka Jeeps, Old Christmas ornaments, Duncan Phyfe bed, Duncan Phyfe love seat, Nice slag glass lamp, Queen Anne cedar chest, 12 place set of Rosemarie Noritake China, 8 place set of Belfort Noritake china, 8 place set of Ivy Noritake china, silver plate items, several pieces of crystal, Goebel figurines and plates,and ore. Doors open 9 A.M. day of sale for inspection. All announcements day of sle take precedence over printed material. No buyers premium.